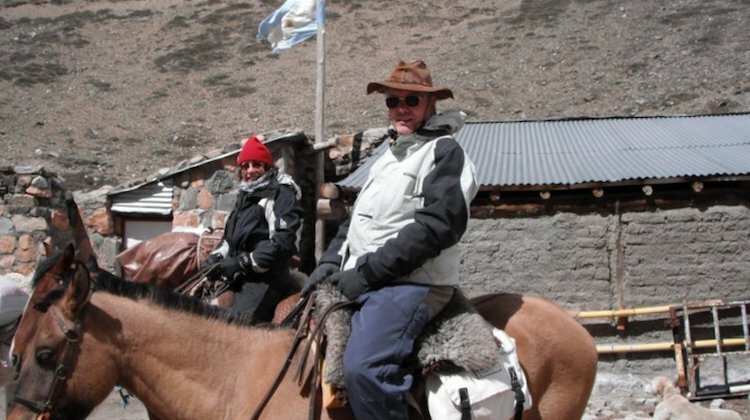 Tom Williams recalls his Argentinian adventures in the name of research. My first visit to Argentina was in 2003. I had been learning to dance tango in London and I decided I had to see how they danced in Buenos Aires. I completely fell in love with the place, so when I was looking for a historical hero, Argentina seemed a natural place to start. The story of the liberation of South America from Spanish rule is full of heroes, but most of them are not people that a British audience would automatically sympathise with. There was the splendidly named Bernardo O’Higgins who is commemorated with a memorial near my home in Richmond where he was educated as a young man. He was unhappy here, though, and didn’t really achieve anything until he returned to South America, where he eventually became the ruler of Chile. Despite the British connection, few here have heard of him. Francisco de Miranda, who was briefly the ruler of Venezuela, also spent time in Britain, much of it plotting against the Spanish government. His was a fascinating, though tragic, life but, again, he was not somebody that the English know about or identify with. Eventually I came across James Burke. Nobody has heard of him either, but he has the advantage that he was British and spent most of his life as a British officer, despite an unfortunate start to his military career, when he was fighting for the French. Burke was a fascinating man. I was eventually to produce fictional adventures for him in Egypt, France, Belgium, Spain and Ireland, but I started with his distinctly nonfictional adventures that centred round Argentina. By now, I knew Buenos Aires pretty well, but researching Burke in the Land of Silver gave me a great excuse for another visit. Buenos Aires is an aggressively modern city which sprawls over almost eighty square miles with Greater Buenos Aires stretching much further beyond that. Near the main square of the city, though, where the famous Casa Rosada is (where Madonna harangues the crowd in Evita), some streets have changed very little in two hundred years. I spent days walking around them, taking photographs to remind myself what they look like and finding paintings in the local museums that showed them as they were then. I explored the remains of the old Spanish fort that now lie underneath the presidential palace and I admired the British flags captured during the two British attacks on the city. Burke travelled outside of Buenos Aires. In my book I have him riding out with the gauchos – the cowboys of South America. Charles Darwin, in between writing about finches on the Galapagos Islands, and developing the theory of evolution, spent some time with the cowboys and I drew very heavily on his account. In the end, though, I had to see it for myself so I set out from Buenos Aires to nearby San Antonio, which is regarded as the spiritual home of the gauchos. 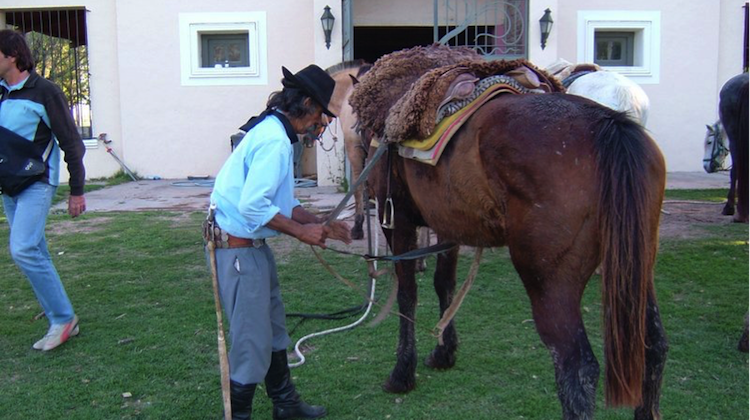 I admired the Museum and the exhibitions on the gaucho way of life but nothing beats practical experience, so I spent a day at the El Ombu ranch. Nowadays El Ombu makes most of its money from tourists like me, but it is still a working cattle ranch and the morning I spent riding with the gauchos working with the herd was an unforgettable day. That should have been all the research I needed, but back in England I struggled with Burke’s adventures in the Andes. I read some lovely accounts of climbing in the Andes, but I really couldn’t visualise what it must have been like. James Burke really did cross the Andes and, of course, in those days that meant crossing by horse. He seems to have made his crossing rather late in the summer and had to battle his way through snow. It was an uncomfortable and potentially dangerous trip, but part of his work exploring the country to feed information back to the British. 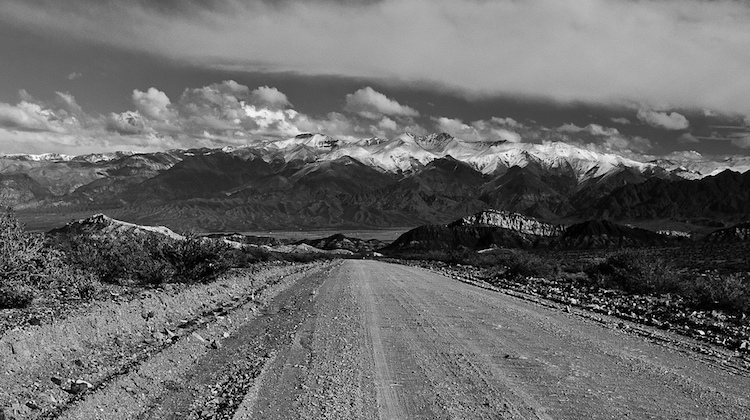 The crossing of the Andes is only a few paragraphs in the book. After all, nothing much happened. He rode up the Andes from Argentina and down into Chile. But it’s important for a writer to get that sort of detail correct and, in any case, I wanted to see the Andes. So a couple of years later, it was back to Argentina and a flight from Buenos Aires to Mendoza where I set off with not one, but two, guides – one who knew everything there was to know about the area and the other who knew how to speak English. Our local expert complained that we were foolish to attempt the climb on the day we had chosen to start. The weather might be bad, he said. There was snow, he said. I thought of Burke and of how this was supposed to be about researching his experience and insisted that we go. One of our horses showed a rare good sense by running away and was collected from the foot of the mountains on our way back home. Fortunately we had a spare. Despite the conditions, those days in the mountains were one of the most amazing experiences of my life. Despite being so cold that simply getting onto the horses was a struggle, I was staggered by the sheer beauty of the place. We got up to around 3,700 metres, the only humans – almost the only living things – for further than I cared to think about. And the Andes are amazing. I really want to go back – but, perhaps, in the summer. In the end, the experience added only a few paragraphs to the book and I can’t even claim that they are particularly evocative paragraphs. But I’m so glad I did it and that I have some idea of what my hero went through and some incredible memories of a staggeringly beautiful place. Not every historical novel involves this level of research effort, but talking to other historical writers it is clear that many of them put astonishing amounts of work into researching the background of books which will eventually find their way onto Amazon for under a fiver. It’s hardly surprising that commercial realities are making the well-researched historical novel an increasingly difficult book to write. 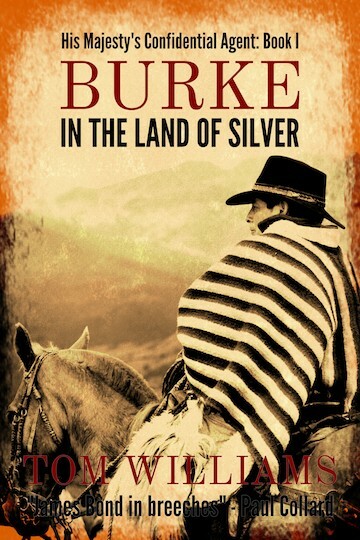 That said, I thoroughly enjoyed researching Burke in the Land of Silver. I hope that my enthusiasm shows and that you enjoy reading it. Tom Williams is author of the James Burke series, released by Endeavour Press throughout January and February 2018, and the John Williamson Chronicles. All images © Tom Williams, except 1. 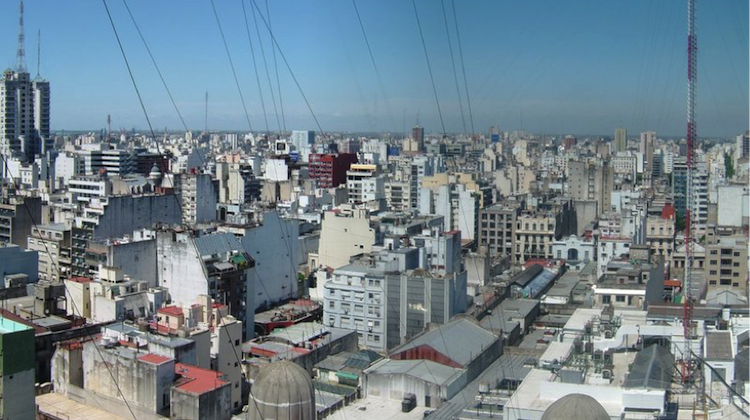 Buenos Aires Today, photographed from ‘The Lighthouse’ near the Congress building. Getting ready to ride out at El Ombu ranch. 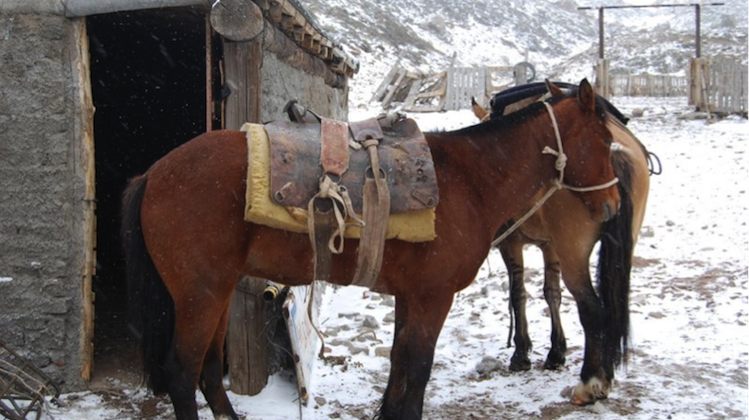 Horses outside the hut at 3,000 metres. Tom prepares for the journey down.